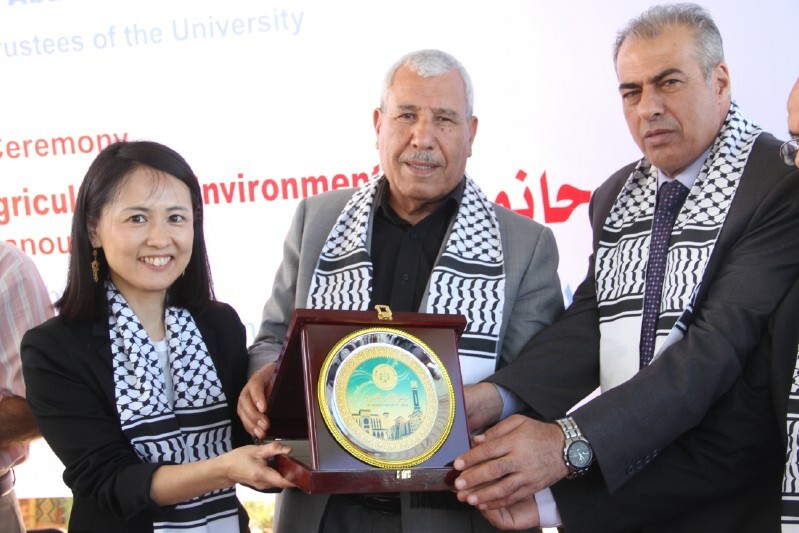 Ms. Yuko Mitsui, Chief Representative of JICA in Palestine, Dr. Abul Rahman Hamad, Chairman of the Board of Trustees, Prof. Dr. Abul Khaliq El Farra, President of AUG during the opening ceremony of Beit Hanoun Farm of the Faculty of Agriculture and Environment. Eng. Mohammed Abu Haloub, Director of Qatar Charity Office in the Gaza Strip visited AUG, where he was received by Prof. Dr. Abdel Khaliq El Farra, AUG President; Prof. Dr. Sami Muslih, Vice President for Academic Affairs; Dr. Marwan Al Agha, Vice President for Administrative and Financial Affairs; and a number of AUG Council members . 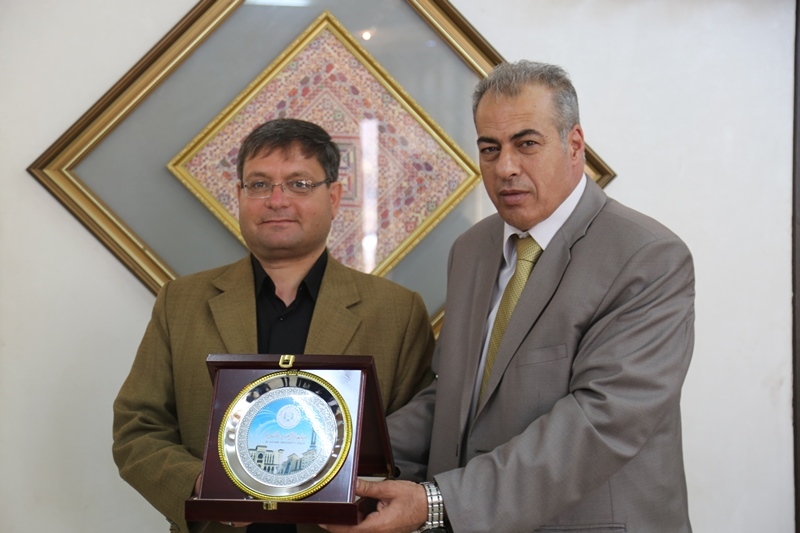 A high- level delegation from the Palestinian Fund for Employment and Social Protection of Workers (PFESP) visited AUG. The delegation consisted of Ms. Ibtisam Husary, Executive Director; Mr. Muneer Shalaheh, Programs & Projects Development & Coordination Manager; Mr. Imad Hussein, Projects Bank , Studies and OSS Manager; and Mr. Mohammed Abuzaiter, Director of PFESP in Gaza. 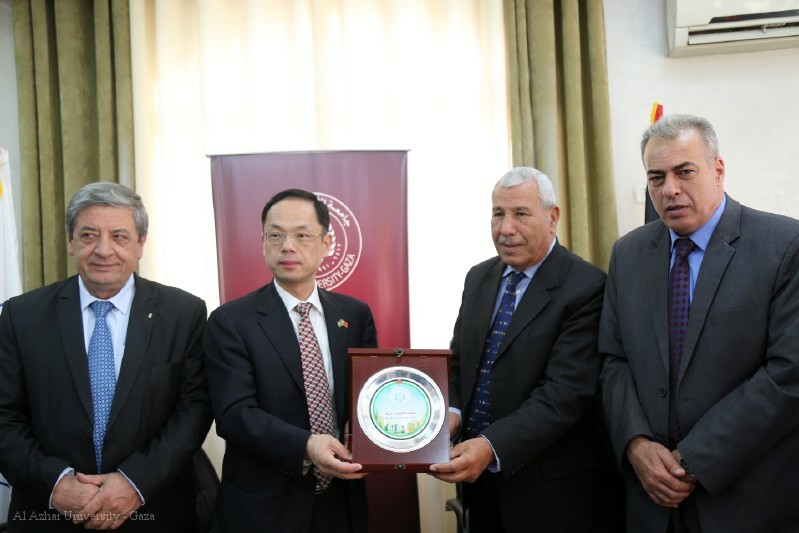 His Excellency Chen Xingzhong, Ambassador of the People's Republic of China to the State of Palestine, and the embassy staff members visited AUG. The delegates were accompanied by Dr. Kamal El Sharafi, Advisor to the Palestinian President for Human Rights and Civil Society.